(August 3, 2016 – Toronto, ON) Celebrations for Canada’s 150th anniversary of Confederation next July are months and months away but the glow of national pride was hot at this city’s venerable and beautiful Fairmont Royal York Hotel when filmmakers, media, industry and Toronto International Film Festival (TIFF) VIPs gathered this afternoon to launch the 41st festival by announcing the Canadian films and filmmakers that will fill a major component of this year’s schedule. 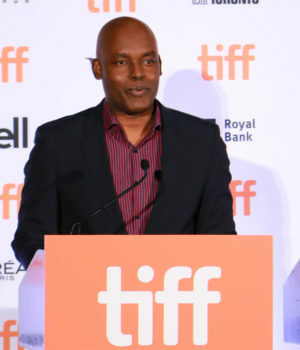 It was fitting that following the rush and bother and fun of the red carpet, Cameron Bailey (pictured above) stood behind the podium and reminded the enormous crowd that the hotel stands on what once was native ground, naming the various indigenous nations that contributed to the country we called Canada and the city we call Toronto, which means a gathering place. His remarks were greeted by warm applause. Not to be overlooked in the schedule is the list of 37 shorts including 17 films by women and 6 films by Canadian indigenous filmmakers. The lineup of Canadian features is packed with World Premieres from acclaimed filmmakers Deepa Mehta, Alanis Obomsawin, Bruce McDonald, and Brigitte Berman to promising new work from Kevan Funk, Anne Émond, Chloé Robichaud, Jamie Kastner, and Vincent Biron. North American Premieres include the latest from Xavier Dolan, Nathan Morlando, Kim Nguyen, Ann Marie Fleming, and Johnny Ma. 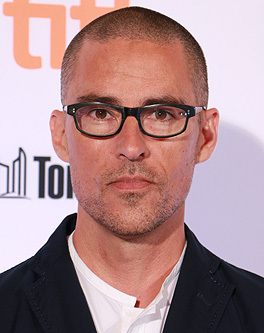 Nathan Morlando at TIFF 2016. Photo © 2016 by R.A.Lucas. Used with permission. father hunts them down, they embark on a journey that will change their lives forever. A potent fable at its heart, Mean Dreams fuses the desperation of life on the run with the beauty and wonder of first love. 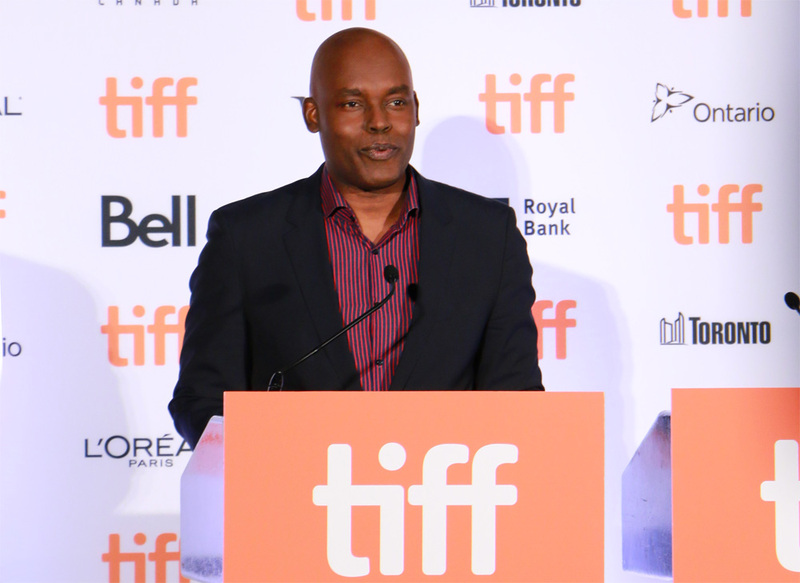 Starring TIFF Rising Star Sophie Nélisse, Josh Wiggins, Bill Paxton, and Colm Feore. This film is set in the Great North, near the North Pole, in a modern town where about 200 souls live precariously in minus 50 degree weather, and where roads lead to nowhere but the endless white. It is in this eerie lunar landscape that Lucy and Roman, two young tormented souls, fell in love. But now, ghosts from Lucy’s past are coming back, and she needs to run away or she will burn. 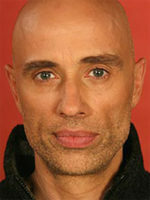 Together, these lovers decide to make a leap for life, a leap for inner peace. Starring Tatiana Maslany and Dane DeHaan. 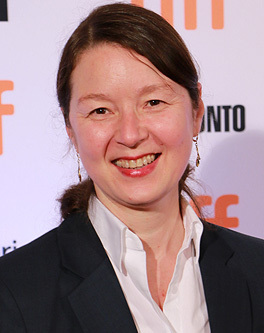 Ann Marie Fleming at TIFF 2016. Photo © 2016 by R.A.Lucas. Used with permission. and Shohreh Aghdashloo, the film is filled with poems and histories created by a variety of artists and animators, who set out to blend a vast myriad of differences between cultures, philosophies, arts, and time frames. Window Horses is co-produced by Stickgirl Productions (Ann Marie Fleming), Sandra Oh and the NFB (Shirley Vercruysse and Michael Fukushima), and distributed in Canada by Mongrel Media. In 2007, the Child and Family Caring Society of Canada and the Assembly of First Nations filed a landmark discrimination complaint against Indian Affairs and Northern Development Canada. They argued that child and family welfare services provided to First Nations children on reserves and in the Yukon were underfunded and inferior to services offered to other Canadian children. Veteran director Alanis Obomsawin’s documentary We Can’t Make the Same Mistake Twice documents this epic court challenge, giving voice to the tenacious childcare workers at its epicentre. A member of the Abenaki Nation, Alanis Obomsawin is one of Canada’s most distinguished filmmakers. For over four decades, she has directed documentaries at the NFB that chronicle the lives and concerns of First Nations people and explore issues of importance to all. 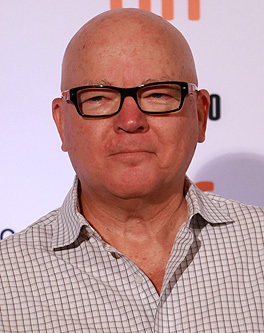 Fred Peabody at TIFF 2016. Photo © 2016 by R.A.Lucas. Used with permission. independent alternatives. 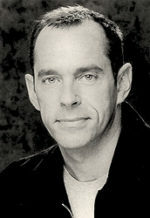 Cameras follow as they uncover government and corporate secrets, just as ground-breaking and influential American journalist I.F. Stone did decades ago. 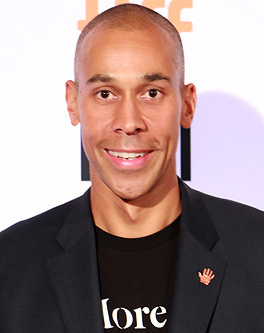 Hubert Davis at TIFF 2016. Photo © 2016 by R.A.Lucas. Used with permission. development camps. Young men from across the continent overcome staggering odds, with an unwavering spirit, to attend these camps that are held in Nigeria, Kenya, Ghana and Rwanda. As Masai and his team of coaches work to train and inspire the raw talent that they encounter, Giants of Africa captures the amazing physical and emotional journey that these young African men pass through. 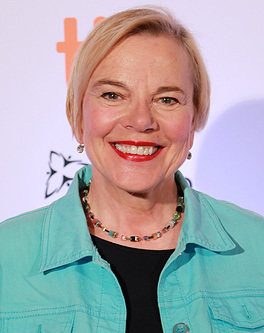 Brigitte Berman at TIFF 2016. Photo © 2016 by R.A.Lucas. Used with permission. complexity, this film by Academy Award–winning filmmaker Brigitte Berman tells Gordon Pinsent’s story, as well as a universal story about the human condition, while making creative use of state-of-the art digital technology. There is far more than we can comfortably cover in one day, but with just over a month to go before the festival launches its 41st season there is plenty of time for us to research and add more Canadian filmmakers to our database. Meanwhile, more information and tickets and ticket packages are available online. Photos © Copyright 2016 by Ralph Lucas. Used with permission.